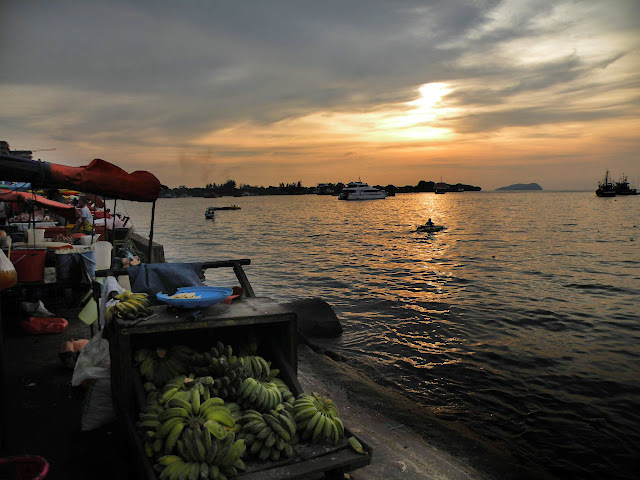 Just next to the harbor in Kota Kinabalu there is a huge market. Part of it is located in concrete building with stalls full of souvenirs, clothes, bags, scarfs, shoes, jewellery, drums and many many more. Next to it there is an open air food market with fish, meat, fruit and veg. You can also sit down and have something to eat and drink. Have a look yourselves.